A fascinating solo exhibition of captivating multi-media works by emerging artist Gabrielle Jones. Featuring a very special selection of incredibly life-like Kangaroo Island native animals and lovingly created fantasy creatures, this unique exhibition has captured the attention of islanders as well as visitors. The exhibition also includes a selection of 12 watercolors that have provided inspiration for pieces featured in the collection. Prints are available for sale. Likely the greatest talking point among those viewing, is major piece, “Stuff It.. not taxidermy” the fabricated sculpture of a life size koala, from which the exhibition takes its name. But there is also plenty of excited chatter about the incredibly detailed life-size sculptures of the much loved echidna. 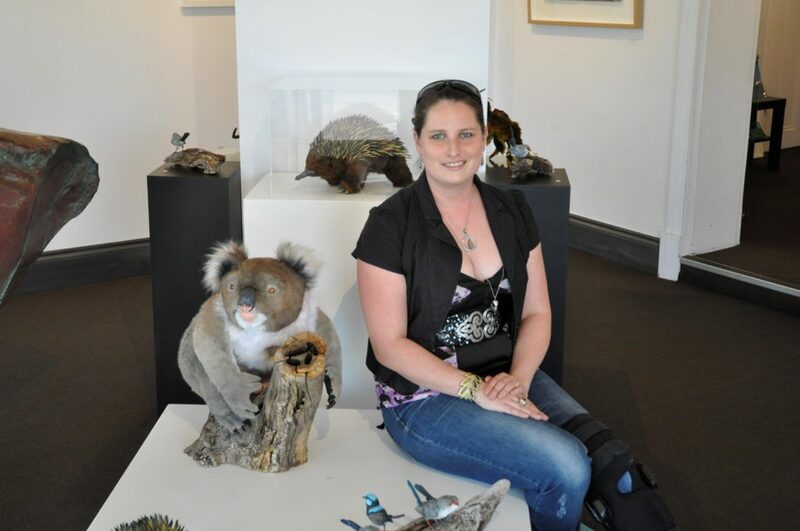 Multi-media artist Gabrielle Jones surrounded by some of the creatures she has created. Photo courtesy Steve Howell. No animal parts are used in the creation of these sculptures. All are fabricated from synthetic materials including wire and polymer clay. Artist Gabrielle Jones draws daily inspiration from her surroundings while working at Southern Ocean Lodge on Kangaroo Island’s South coast. 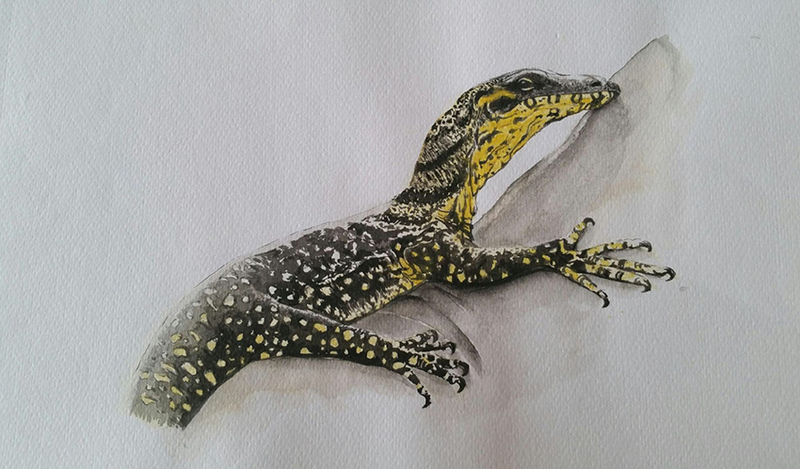 Lace Monitor depicted in watercolour by Gabrielle Jones.